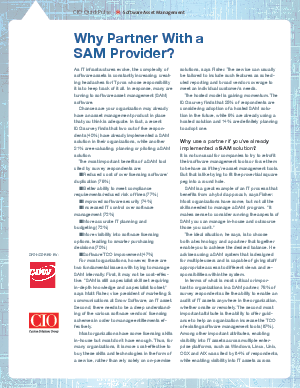 > CDW > Why Partner With a SAM Provider? turning to software asset management (SAM) software. Chances are your organization may already have an asset management product in place that you think is adequate.